I've posted before about high probability trades occuring when there are volume gaps. On Feb 13th we filled a volume gap that was put it on Feb 9th. 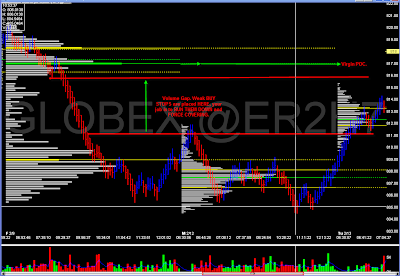 Here's the Volume profile for Feb 9-12th. Notice the "volume gap" between 811.8-814.1. 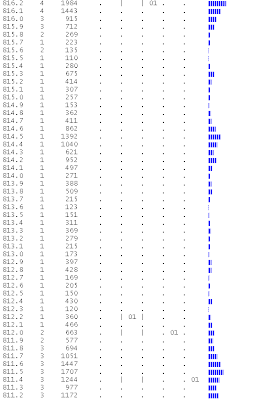 It didn't take much effort for ER2 to gap up and run to 814 the morning of Feb 13th.